SELMA, N.C. (WTVD) -- A fire tore through a family's mobile home Sunday afternoon in Selma. It happened in the 2100 block of Lizzie Mill Road around 1:30 p.m. The family was at church when the fire started. 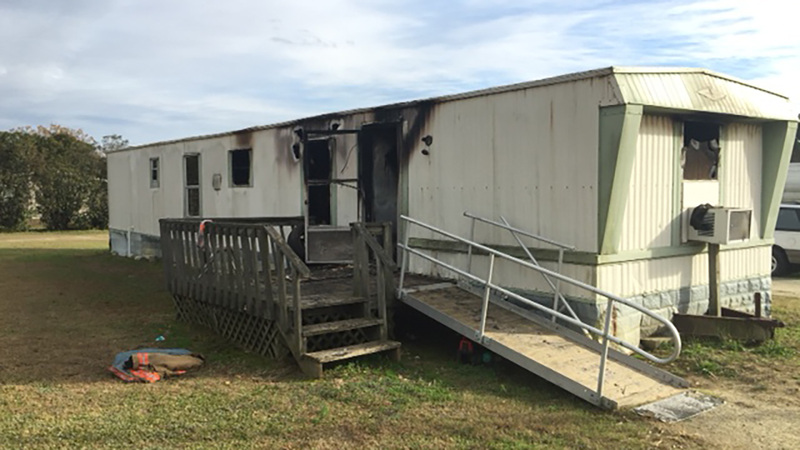 One of the residents is disabled and the fire was the same side of the mobile home with a handicap accessible ramp. A relative living next door saw the smoke and tried to put out the flames but wasn't able to. EMS treated her on the scene and she did not have to go to the hospital. Selma Fire Chief Phillip McDaniel said the fire was accidental and started in the kitchen when a stove was left on. The Red Cross is assisting the two displaced victims.